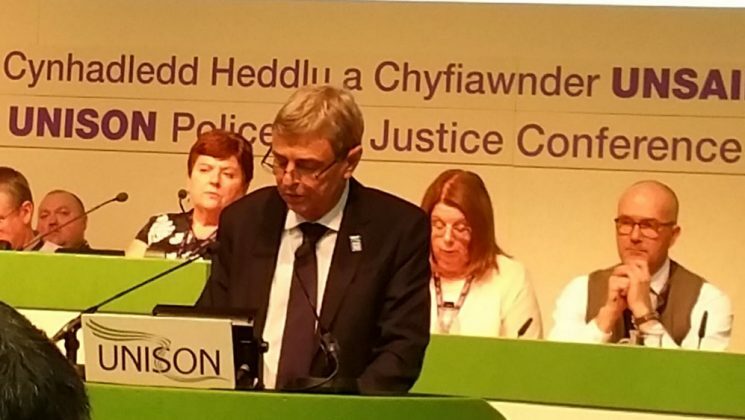 “Now is the time to win for our members,” general secretary Dave Pentis told UNISON police and justice activists gathered in Llandudno for their annual conference today. “It is good to see so many of you, UNISON activists standing together for our members,” he told them. But he warned that “there are those who will seek to divide us and cherry pick their preferred services or parts of services”. However, “we don’t want rises for those in uniform only – we want uniform pay rises for everybody. “Yes, it’s about police officers. But it’s also about police staff and probation staff. “All have suffered from austerity. All deserve a pay rise they have been denied. That is why UNISON has lauanched a massive campaign – Pay Up Now! – across the whole union, covering all 12 of the union’s regions and all seven of its service groups. 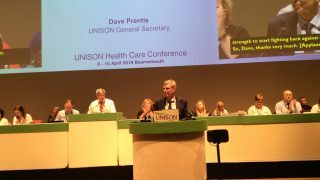 Mr Prentis told the conference that he had been at a march and rally in Edinburgh at the weekend, with similar events planned for Yorkshire and eastern England. At the same time, the union has also organised a parliamentary petition, which will see MPs debate public sector pay on 4 December, and is mobilising for a Westminster lobby of MPs next Tuesday, 17 October. Politically, the union has written to Conservative MPs in marginal seats – especially in seats where the number of public sector workers is more than the MPs’ majority – to put pressure on them. A recent email from the UNISON general secretary to members in those seats saw more than 1,000 of them write to their MP straight away. But it’s not just about pay, Mr Prentis said. Services have been cut and the public are suffering. Since the start of Conservative government in 2010, 20,000 jobs have been lost in policing, while crime has gone up. “Cutting jobs is cutting lives,” said Mr Prentis. 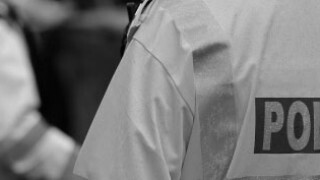 The same period has seen “an austerity which has led to the privatisation of high-performing services in police and probation”. Speaking for the union as a whole, Mr Prentis declared: “We will fight to bring probation back into public control. “We have a clear vision of the future of probation as a local and democratic service in the public sector.